Are you curious about how kayak fishing tournaments work? Kayak bass fishing tournaments share a lot of similarities with the bass boat tournaments of the FLW and Bassmasters but significant differences can make a first tournament tricky. Knowing exactly how it works is the first step. In kayak bass tournaments an angler doesn’t use a livewell but instead uses a camera. A fish once caught is laid on a measuring board, usually a Hawg Trough, and a picture is taken. The picture will then be submitted either by an electronic app or at the end of the day by SD card. All of the fish are measured by length rather than weight. A panel of judges review and score the length of each fish to the nearest quarter inch (rounding down) and the longest limit of fish by one angler is declared the winner. Often in these tournaments there are many additional rules for handling the fish while taking the picture. For instance, an angler cannot use a stringer, cannot secure the fish to the board using straps or clips, cannot cover the eye, cannot put a hand in the gill plate, and about a dozen other rules are commonly used. Kayak tournaments, unlike most bass boat tournaments, have two different types of take offs. One method is the single launch point. This means all anglers leave from the same ramp at the same time to begin the day of fishing. The launch is definitely a race to get to fishing spots and can be pretty exciting. The other style of launch is called a road runner. This format allows anglers to launch their kayak boat from several different ramps that have been preapproved. The thinking behind this format is it reduces congestion at the launch and maximizes fishing time for the angler by reducing on the water travel time paddling, pedaling, or motoring to your spot across the lake. When a road runner format is used, a first cast time is given. This tries to make sure anglers do not fish over night or earlier than the other competitors. Software apps like Tourney X and iAngler time and date stamp each submitted picture using the exif data from the camera or camera phone to verify these rules were abided. Tournament submissions in these tournaments do not open until first cast. What Happens at the End of the Kayak Fishing Tournament? At the end of the fishing day, everyone usually gather for snacks or a light meal before the results are announced. Anglers typically do not all come across the stage in a big production. Most of the time, only the winners come forward and it is a fairly quick process. In tournaments where an app is used, most of the judging is completed within 30 minutes of the conclusion of the time for submissions. This allows those traveling home that evening to get on the road in a timely manner. In kayak tournaments it isn’t only money that is given away. In many kayak bass tournaments prizes including coolers and kayaks can be given away. Sometimes these are for a big bass award and sometimes it is done as a raffle style drawing. That gives everyone a chance at walking away with something even if the fish didn’t cooperate. If you can’t make the drive to some of these kayak bass tournaments, many places offer online challenges. The challenges can be over a weekend, a week, or even a month and pits anglers in the same region or even nationally against each other. All submissions for these tournaments is via an app and prizes are typically monetary. 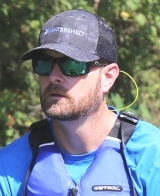 Whether you are just getting your first kayak or have been kayak fishing for years, if you find yourself needing to scratch a competitive itch, kayak bass tournaments might just do it.